In this webinar we will look at how we can help learners develop their speaking skills and progression at B2 level. 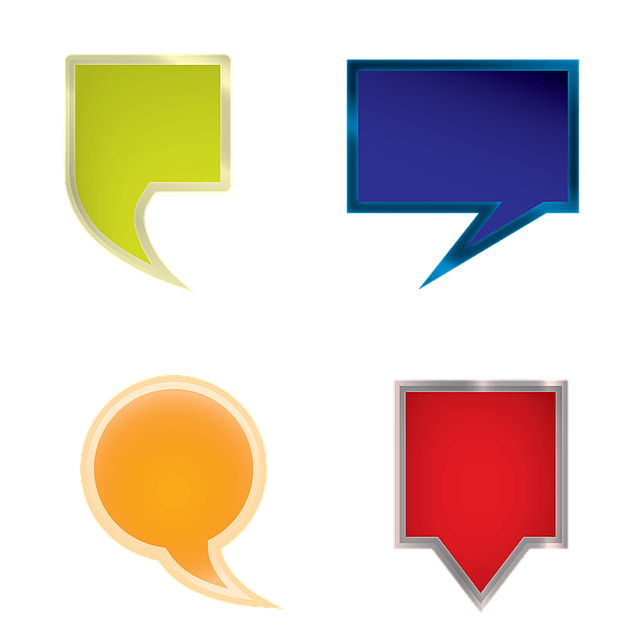 If we help learners understand the criteria for success we can ask them to analyse examples of their own speaking performance, using recordings or transcripts. This approach enables students to focus on small improvements and set their immediate learning goals. It also encourages learners to reflect on and think about their learning and progression, and in turn take responsibility for their own learning. Jane’s current responsibilities for RTL involve working on large scale educational reform projects with ministries and NGOs, and working for the Association of Language Testers in Europe (ALTE). Her work for ALTE is to support other national language test providers. This includes statistical analysis of items, analysis of rater performance, research into exam and language use at regional and national level, courses and training in assessment, preparation for audits, and training for item writers, test designers and raters. She has a degree in Linguistics, a DELTA, an MA in Linguistics and TESOL, and an MA in Language Testing. Siân has taught in the UK, Italy and the USA. Among her current responsibilities are managing IELTS partnerships and stakeholder engagement, providing research support for teaching qualifications, as well as thought leadership activities such as writing research communications and presenting at workshops and conferences. She is also the lead RTL contact for speaking assessment. Her interests include Learning-Oriented Assessment, Performance Assessment, and Assessment Literacy. Siân has presented at numerous academic and teaching conferences in Europe and the US. He also published in teaching and academic journals. She has a B.A. in Modern Languages, a PGCE in French, an MA in TESOL, and an MA in Applied Linguistics (Language Assessment) from Columbia University, New York. Throughout Cambridge webinars for teachers series are offering a new way to officially recognise your attendance. For each webinar that you attend you will earn a digital open badge as proof of your professional development. It’s the 21st century equivalent of a certificate of attendance. Find out more about open badges and how you can use them to support your professional development. 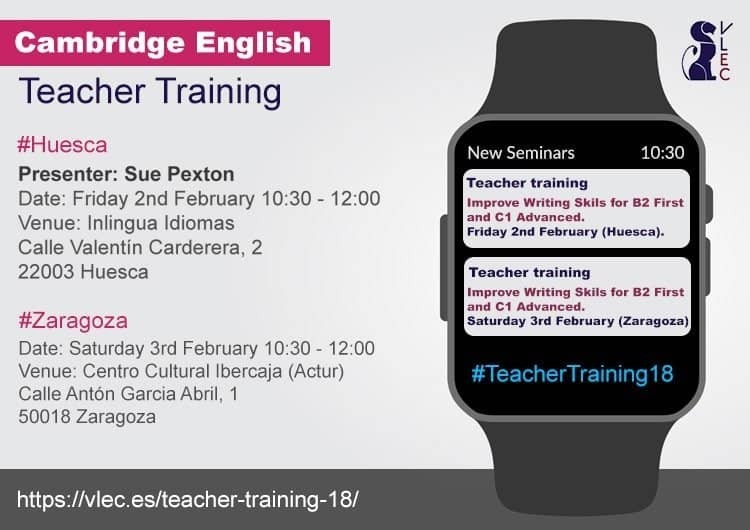 If you have missed any of the previous webinars, you can watch recordings and download the slides on Cambridge English TV, the official YouTube channel of Cambridge Assessment English. Both events will start at 10:30 and finish at 12:00. We aim to provide an opportunity to meet and interact with people in the teaching environment and your presence will enable you to continue preparing Young Learners effectively. The seminar is especially relevant for teachers who are already preparing candidates for Young Learners exams, but all are welcome. 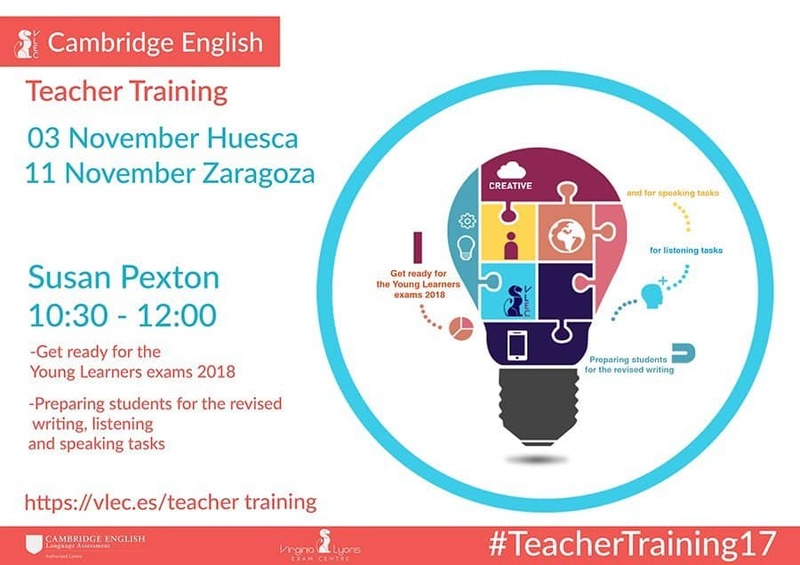 Susan Pexton, a member of the team of the University of Cambridge presenters in Spain, will present the seminars on Cambridge exams. The closing date for registration is Tuesday 31st October. Use the hashtag #TeacherTraining17 to talk about this event on social media. Use the hashtag #TeacherTraining17 to join and contribute to social media conversations about the events.